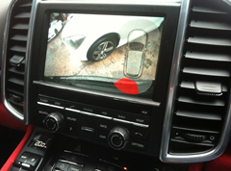 At AVS we specialize in the installation of reverse camera systems for all makes and models of vehicles. 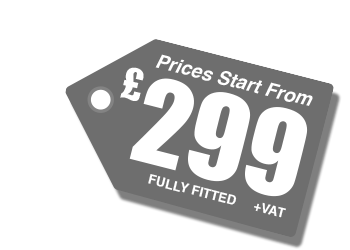 We stock a wide range of kits from standard systems through to fully integrated kits. Please contact us for further information. Vehicle specific cameras are now available for most European and Japanese car and are used in all our packages when available. 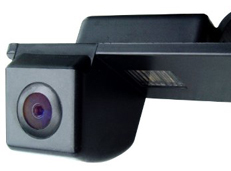 The camera replaces the number plate light panel and has lights built in when required . This is ideal for vehicles that don’t have a factory monitor or screen that isn’t compatible with a camera kit. The rear view mirror is universal fit and can be used on any vehicle, this version of mirror fits over the original and is slimline unlike the older versions. 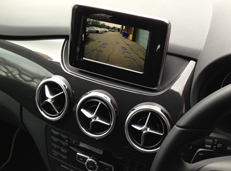 We now have a full range of fully integrated reverse camera kits that activate through the front screen when reverse is selected. This system is available for most German & Japanese cars and many others . 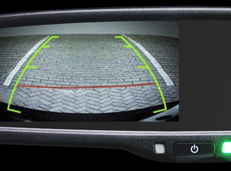 We also now have available reversing camera kit with movable grid lines for most German cars Fully integrated kits start from £450.00 + vat fully fitted . 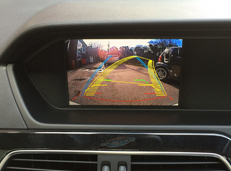 Recently BMW & Mercedes have introduced movable grid lines to there factory fitted reversing camera kits to assist parking . We now stock a range of kits with this feature for most of the BMW & Mercedes range . 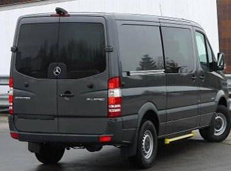 At AVS we stock a wide range of reverse camera kits for all types of commercial vehicles from transit vans to buses & coaches. Please contact us with your vehicle details for prices . 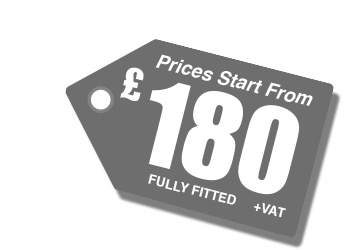 Standard kits start from £180.00 + vat inc installation.